For those looking for vegan inspiration, products, information and socials on a top day out, look no further Europe’s keynote vegan festival VegfestUK London this autumn! 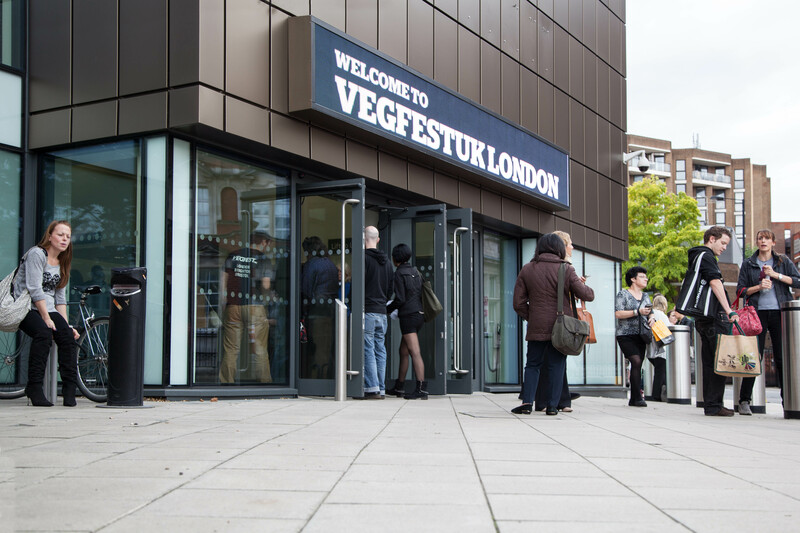 After hugely successful stints at Olympia West in autumn 2013 and 2014 with 10,000 visitors at each show, in 2015 VegfestUK London will take place instead at Olympia Central (Levels 1 & 3) on October 10th 11th. – and Vegan Activists Workshops with interactive workshops on educating more minds on the vegan lifestyle. These activities dovetail nicely with the seasoned combination of a LifeWell Hub of presentations on holistic wellbeing, talks, cookery demos, a Cinema, Live Music and Comedy, Kids Cookery Classes, Kids Entertainment, on top of over 200 Stalls and 14 other Specialist Caterers serving exclusively Vegan food. The VegfestUK London event website can be found at www.london.vegfest.co.uk, and advance tickets will be on sale from June onwards with Buy One Get One Free offers available for a limited period. VegfestUK London welcomes on board its first sponsors: Lifefood, Moo Free Chocolates, Suma Wholefoods, Yaoh, Excellart and Out of Hand, with more tbc.